The wines of Italy are recognized all around the world, and their character and good taste are due to grape varieties such as Nebbiolo, typical of the Piedmont region in northern Italy. It’s a really valued red grape variety, grown only in this region and in some South American countries, but to a small extent. The intense dark color is quite characteristic of other varieties of red grapes and it has a somewhat late maturation (sometimes, around November) than other red grapes that originate here. The wines elaborated from Nebbiolo grapes thanks are high quality and offer an intense ruby and burgundy color. Its aroma is varied: ripe fruit (cherry, plum…), truffles (abundant in this Italian area), wood… and the flavor is strong and slightly acidic. Bear in mind that these are wines with an important alcohol content, which is usually about 14°, approximately. 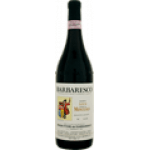 The variety is used for the elaboration of two of the most distinctive wines in Italy, such as Barolo and Barbaresco, both with Appellation of Origin and usually high priced. The Barolo has a higher production than Barbaresco, which we found only in three specific locations in the same region. So, which dishes can be paired with this wine? If we consider that the Piedmont mixes French and typical Italian dishes, this grape variety is perfect for beef, lamb or game. But it also pairs with cheeses, risottos and some pasta dishes, often matched with different creams and sauces. The truffle, as we already mentioned, is found in the forests of Piedmont, and makes an excellent couple with the Nebbiolo grape, provided that we can afford it.